The family will love this Texas Hash, delicious, affordable and perfect weeknight meal. We love meals that you can throw together. 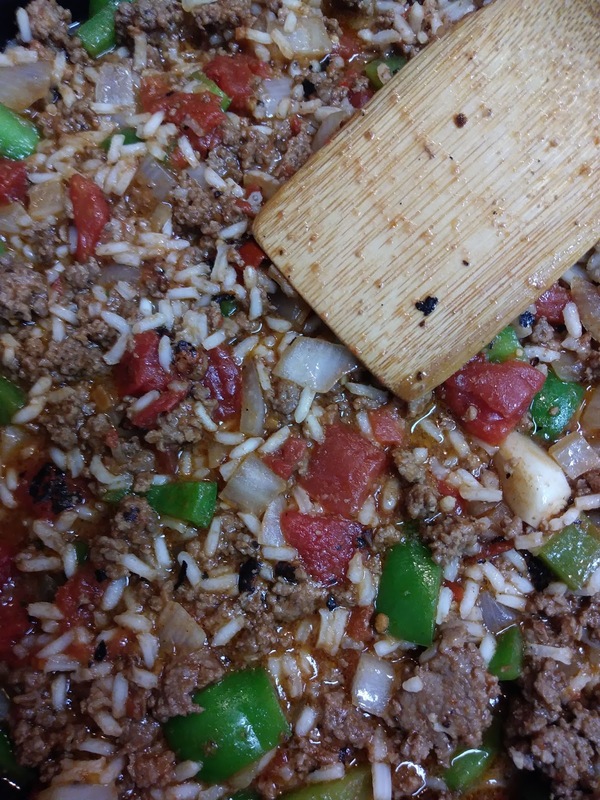 Heat oil in skillet over medium heat, add ground beef, salt, pepper, hamburger seasoning, worcestershire sauce, onions and bell peppers, stir and cook until meat is no longer pink and veggies are tender. Add diced tomatoes. 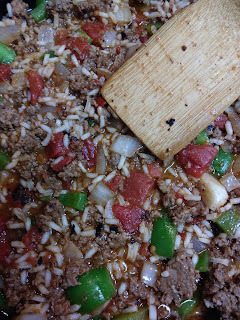 Stir in cooked rice. Heat through. I would love every bit of this yummy dish in a taco shell! Yum!! This is what I call pure comfort eating, Christine! Love the ease of the recipe!! simple and yummy, my kind of meal! I would love a plate of this hash!! I'd love to make you plate. Thank you!